Uncategories Let Aladin Ka Chirag be a part of Stories only! Right from my childhood, I have heard various stories and the one Aladdin Ka is still afresh in my mind. But at that time I was not matured to think it over about its existence or reality. They these were written with so beautiful narration that the reader was compelled to believe it to be unfolding of its authenticity. In fact the story of Aladin is one of the most familiar narratives in all of the literature, a classic ‘rags to riches’ tale with a character of a young hero who has to learn an important lesson; interesting settings; a good healthy dose of magic; a beautiful heroine and an evil villain or two depending upon the plot of the story like in Indian movies. 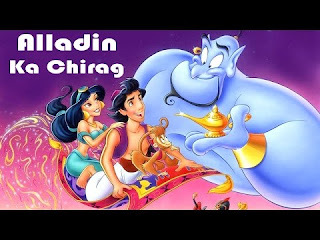 Aladdin Ka Chirag – Aladdin is a Middle Eastern folk tale. However, it is one of the tales in The Book of One Thousand and One Nights – The Arabian Nights – and one of the best known, although it was actually added to the collection in the 18th century by Frenchman Antoine Galland. In 1956, a Hindi movie was also produced written, directed and produced by Wadia family based on Arabian Nights with the known starts of that tie – Meena Kumari, Mahipal and S.N.Tripathi with dialogues by Teznath Zar the adventures of Aladin and his finding of the magic lap in the cave and his love for the princess Badar. The story as a part the Arabian Nights or One Thousand and One Nights told by Scheherazade, the woman who successfully invented the cliffhanger – goes like this that she was one of the Sultan’s concubines – a woman who lives with a man but has lower status than his better-half or halves. Sultan after enjoying his pleasures with a woman would have killed her. It goes like that a magician’s den in a cave where the magician – Hikmat tells a genie-like figure that he wants to rule the world and he is asked to get hold of the magic Chirag from a cave. He will then have to send someone who is honest and has twenty-one moles in the shape of a lamp on his hand. The magician finds Aladdin who is in love with Princess Badar whose father had been imprisoned and a look-alike Massod Beg – the evil Minister substituted in his place. Beg’s son Nazim has Aladdin beaten for a minor brawl and takes Aladdin to the cave and sends him down to get the lamp. But when Aladdin declines to hand over the lamp before coming out, Hikmat criticizes the entrance shut leaving Aladdin trapped. Aladdin manages to rub the lamp and a genie appears. The genie – the spirit – helps Aladdin get out of the cave, marry the princess, free Badar’s father, have him re-establish as the Sultan and build a palace for him. The story follows the magician getting hold of the lamp and Aladdin’s exciting activities go on, till he gets the lamp back and manages to conquer evil. Frankly speaking, I could only carry the memory with me throughout my life that when I will be grown up, I could have it and fulfill my wishes. But with the passage of time, my reading habits started with after my retirement and now I could realize that these were fictional but these definitely have a message for each one to live a peaceful and happy life with the help of Aladin Ki Chirag. 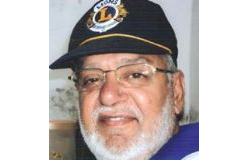 It reminds me a poster hanged outside the cabin of a Cash Counter which reads like – “You live only once if you live right, once is enough”. Meaning thereby, why one should look for Aladin Ka Chirag rather if we think it otherwise about this Chirag, we should control our wishes and try to live within our means. With this concept in our mind and terming such characters as fiction, go with their message to something better to the society. They are like road signs, if adopted, could give us a new life but to others also. Let Aladin Ka Chirag be a part of stories only and not of your life!